Streams of the public events can be found here. Former University of Wisconsin-Madison Chancellor Donna Shalala and international Zimbabwe humanitarian Tererai Trent headline a public slate of speakers for the 2016 Summit on Women, Gender and Well-being. 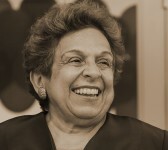 Shalala, president of the Clinton Foundation and former U.S.Secretary of Health and Human Services, will consider the status of women and well-being in Wisconsin and the world during a talk on Saturday, April 16. Trent, who has been called Oprah’s favorite guest, champions a new future for women and girls around the world in her presentation Friday, April 15. Two plenary sessions are also open to the public: “Nuestra Historia: Stories of Strengh and Struggle Across Generations” will be in the morning of Friday, April 15. “UW STREETS Initiative” is the morning of Saturday, April 16.. The 2016 Summit on Women, Gender and Well-being continues a 39-year tradition at the University of Wisconsin-Madison with two days of breakout sessions considering the junction of women, gender and social justice. Faculty, staff and students from University of Wisconsin system schools and regional colleges will deliver live and poster presentations. The summit is hosted by the UW Women’s and Gender Studies Consortium and the UW-Madison 4W (Women and Well-being in Wisconsin and the World) Initiative. 4W is convened by the Global Health Institute, the School of Human Ecology and the Department of Gender and Women’s Studies. 6:00 p.m: “Human Trafficking: What’s the Real Story?” Peter Greenberg, CBS Travel, and Michele Clark, executive director Artworks for Freedom, present this keynote lecture. Alumni Lounge, Pyle Center. Streets of Hope is a local project that helps survivors of human trafficking. Watch the full video here. 7:15 p.m.: “The Transformation of Women’s Health.” Richie Davidson, UW Center for Healthy Minds; Maureen Pelton, ShiftIt Institute; Joan Fallon, Curemark; Kelley McCabe, eMindful; Sona Dimidjian, University of Colorado-Boulder; James Gordon, The Center for Mind-Body Medicine, Georgetown Medical School; Aly Teich, The Sweat Life; Melanie Contreras, Women to Women by Julia; Star Young, Women to Women by Julia. Panelists report out from their day-long session to change the lives of women. Alumni Lounge, Pyle Center. 4:15 p.m. “Dreams from Adversity: Championing a New Future for Women and Girls.” Terarai Trent, Scholar, Humanitarian, Educator, Author, presents this keynote lecture envisioning a new future for women and girls. Room 1306, Health Sciences Learning Center. A reception follows. Tererai Trent is an internationally recognized voice for quality education and women’s empowerment. Her new picture book, “The Girl Who Buried Her Dreams in a Can” (October 2015), is based on her story of perseverance. Trent grew up in a cattle-herding family in rural Zimbabwe and always dreamed of getting an education. Limited by traditional Zimbabwean culture, she was married with three children by the time she was eighteen. Undeterred by traditional roles and cultural norms, Trent taught herself to read and write from her brother’s schoolbooks. From those humble beginnings, Tererai has become a world-renowned scholar, humanitarian, motivational speaker, educator, mentor, and inspiration, leading the global charge in the fight for quality education for all children. Today, Trent is a senior consultant with more than 18 years of international experience in program and policy evaluation who has worked on five continents for major humanitarian organizations. Trent founded Tinogona Foundation, a non-profit organization that works to build, repair and renovate schools in rural Zimbabwe. Through strategic partnerships with Oprah Winfrey and Save the Children, she empowers women to be leaders in their communities, imparting the lessons she learned. Watch Tererai Trent’s TED talk. Donna E. Shalala is the president of the Clinton Foundation. Previously, she served as chancellor of the University of Wisconsin-Madison from 1987 to 1993, as president of the University of Miami and Professor of Political Science, and as U.S. Secretary of Health and Human Services. In 2008, President Bush presented her with the Presidential Medal of Freedom, the nation’s highest civilian award. A member of the Council on Foreign Relations, she served as a Peace Corps volunteer in Iran from 1962-1964. In 2010, she received the Nelson Mandela Award for Health and Human Rights recognizing her dedication to improving the health and life chances of disadvantaged populations in South Africa and internationally. 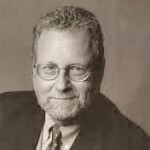 Peter Greenberg is a multiple Emmy-winning investigative reporter and producer, and an honored and respected front-line news journalist. Known in the industry as “The Travel Detective,” he is the travel editor for CBS News, appearing on CBS This Morning, CBS Evening News with Scott Pelley, and Sunday Morning, among other broadcast platforms. Michele Clark is an internationally recognized expert on combating human trafficking with policy and program experience on five continents. 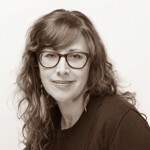 She is currently the Executive Director of ArtWorks for Freedom and holds a part-time teaching appointment at the George Washington University’s Elliott School of International Affairs in Washington D.C.
Maria Cotera holds a Ph.D. from Stanford University’s Program in Modern Thought, and an MA in English from the University of Texas. She is an associate professor in the Departments of Women’s Studies and American Culture at the University of Michigan and directed the Latina/o Studies Program from 2008 to 2011.Cotera’s first book, Native Speakers: Ella Deloria, Zora Neale Hurston, Jovita González, and the Poetics of Culture” (University of Texas Press, 2008), received the Gloria Anzaldúa book prize for 2009 from the National Women’s Studies Association (NWSA). She is currently building the Chicana por mi Raza Digital Memory project, an online interactive collection of oral histories and archives documenting Chicana Feminist praxis from 1960-1990. 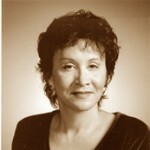 Linda Garcia Merchang, an award-winning Chicana filmmaker, is the technical director of the Chicana Por Mi Raza Digital Memory Project (University of Michigan, University of Illinois Urbana Champaign), a Digital Media Partner of the Somos Latinas Oral History Project (University of Wisconsin Madison) and the Chicana Chicago/MABPW Collection Project (University of Illinois Chicago), and a board member of the Chicago Area Women’s History Council. She is a doctoral student of the University of Nebraska-Lincoln specializing in Chicana/Latina Literature Studies, Film and Digital Humanities and is the recipient of the 2016 Humanities Without Walls Pre-Doctoral Workshop Fellowship. She focuses on the restoration and reconstruction of the counter narrative as an aid in rehabilitating the historical discourse of resistance and social movement. 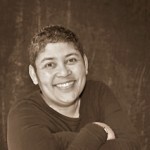 Tess Arenas holds a PhD from UW Madison and served as Assistant Vice President of Academic Affairs and Diversity at UW System for nearly 20 years. Arenas authored Plan 2008: Educational Excellence through Race Ethnic Diversity and assisted UW’s 26 campuses in creation of their campus plans. An national award winning poet, curriculum designer, Arenas created the Somos Latinas Digital History Project of Wisconsin in Fall 2012. Deeply committed to promoting graduate education, Arenas has embedded over 50 different Service Learning projects and Community Based Research in her various courses placing students in non profit and government agencies for the past 10 years including Taycheetah Women’s Prison, United Refugee Services, Dane County Parks, Department of Natural Resources. 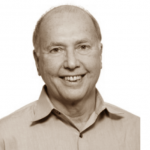 Richard J. Davidson, Ph.D., is the founder of the UW-Madison Center of Healthy Minds. 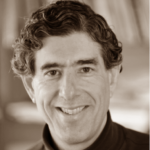 He is a world-renowned neuroscientist who studies emotion, well-being and contemplative practices and a member of the GHI Advisory. His book, “The Emotional Life of Your Brain,” was a New York Times best seller. He was named one of the world’s most influential people by Time Magazine in 2006. 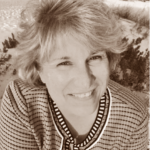 Maureen Pelton, MSSW, LICSW is co-founder of the ShiftIt Institute and a social scientist with 30 years of professional experience as an integrative psychotherapist, executive coach, organizational consultant, spiritual teacher and group facilitator. 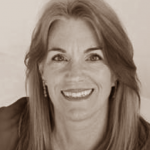 She is host of the Edge Learning Well Talk Radio Show and has taught courses at the Integrative Health Education Center and the Institute for Health & Healing. Maureen created Health Coaching curricula and taught at The Center for Spirituality and Healing at the University of Minnesota. 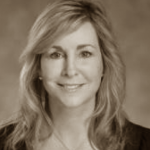 Joan Fallon is the founder and chief executive officer of Curemark LLC, a drug development and research company focused on the treatment of neurological diseases including a treatment for autism. She holds 15 patents and has 42 patents pending worldwide. 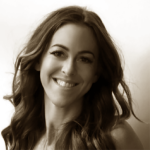 Kelley McCabe is the founder and CEO of eMin dful. She began her career on Wall Street, where she worked for 20 years as a senior executive for Salomon Brothers, Lehman Brothers and Citigroup after receiving her MBA. from New York University. She has been practicing mindfulness since 1997. 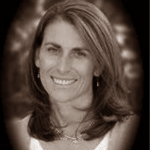 Sona Dimidjian received her Ph.D. in Clinical Psychology from the University of Washington. She joined the faculty at the University of Colorado at Boulder in 2006 and is an associate professor in the Department of Psychology and Neuroscience. 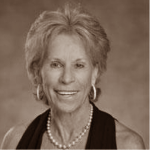 She also is a widely respected teacher and clinician and has been the recipient of numerous awards such as the Dorothy Martin Women’s Faculty Award and the Outstanding Graduate Mentor Award at the University of Colorado, Boulder, as well as the Susan Hickman Award from Postpartum Support International. James S. Gordon is Harvard educated psychiatrist, and a world-renowned expert in using mind-body medicine to heal depression anxiety, and psychological trauma. He is the founder and Director of The Center for Mind-Body Medicine, a clinical professor in the Departments of Psychiatry and Family Medicine at Georgetown Medical School, and recently served as chairman of the White House Commission on Complementary and Alternative Medicine Policy. Aly Teich is the founder of the The Sweat Life. After graduating from UW-Madison, she spent 10 years in television and media, including the Late Show with David Letterman, CBS Television, Tribeca Film, and Conde Nast. She switched her focus to health and wellness five years ago when her mother was diagnosed with stage IV ovarian cancer. She made it her goal to help people live healthier lives. In the fall of 2013, she founded The Sweat Life. 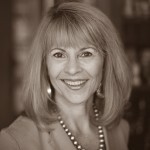 Melanie Contreras is chair, founder and CEO of Women to Women by Julia. She has worked within the legal field for more than 25 years. While working as a director of legal support within top firms in New York and New Jersey, Contreras also wrote continuing education programs and served as an adjunct professor within the programs for Baruch and Richard Stockton College. Before launching Women to Women by Julia, Contreras personally and quietly helped women with financial assistance and emotional support. She also has a private foundation that supports animals. Star Young is trustee, president and executive director of Women to Women by Julia. She is an experienced and award winning Fortune 500 executive and an entrepreneurial leader, launching domestic and global businesses including Style Magazines, HighSchoolSport.net, Weather Channel, Weather.com and the Hallmark Channel. Young is the co-founder of the Beauty Spot for personal development in teens and tweens to build self-esteem, as well as promote personal growth and development. She is a public speaker for continuous improvement, a former talent for the CBS and is a trained facilitator and graduate of the Center for Creative Leadership.